We sell and ship Dixon Lawn Tractor Parts! 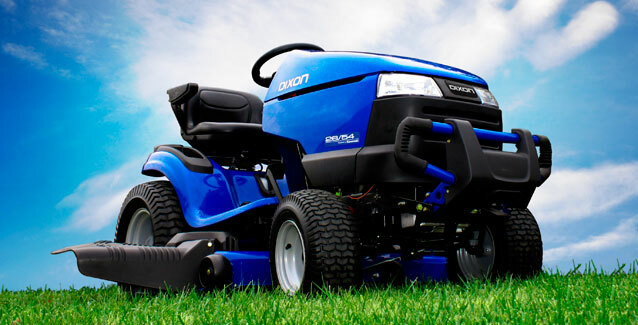 Dixon lawn tractors are versatile and easy to run. They are driven by pedal-operated hydrostatic transmissions. The mower decks are of either 2-blade or 3-blade design and also have anti-scalp rollers for a good looking cut. Some models have manual blade engagement, some have electric clutches for switching on the mower blades. A heavy duty cast iron front axle is standard on most models, and so is cruise control and headlights. Tire size depends on which tractor model you have. Front tires are either 15 x 6 or 16 x 6.5; rear tires are either 20 x 8 or 24 x 12.